You are here: Home / Misc. / Education / How to Help Someone Who is Suffering from Depression. How to Help Someone Who is Suffering from Depression. 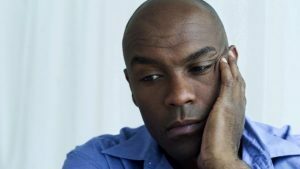 (ThyBlackMan.com) Depression is more common than you might think, so you might have a friend or family member who is suffering from this mental illness at this very moment. Providing your support and love can make a world of difference for someone who is depressed, especially since depression may come with an increased risk of suicide. To learn about some of the ways that you can help a loved one who is suffering from depression, continue reading. The tips below are easy to follow, yet they can make a huge impact on someone you care about. There are things about depression and other mental health disorders that all of us are unaware of. Even experts in the field of mental health aren’t always totally clear on what can cause depression and the best methods to treat it. In fact, recent research has actually found that the use of antidepressants might not be a great idea for all patients because these prescriptions may end up increasing the risk of suicide amongst those who are depressed. So, if you want to help someone who has told you that they are depressed, the first step involves educating yourself. Reputable online resources are a great place to begin. For example, you can read this article on suicide as an epidemic to get started. Once you have read about the latest research, and maybe even spoken to experts in the field, you will find it easier to discover all of the ways that you can help someone who is feeling down. Saying the right things is important when you are trying to show your support to someone who is clinically depressed. But it can definitely be a challenge to find the right words to say, and it is totally normal to feel a little scared about saying the wrong things and accidentally insulting the other person or making them angry or upset. There are a lot of great treatment options available today for those who are diagnosed with depression, and there is absolutely no shame in seeking that treatment. Letting your friend or family member know these facts is a smart move, as doing so can provide them with some additional assurance. But, again, it is important to approach the situation carefully and compassionately. First, you can begin by explaining that what they are feeling is felt by millions of other people all over the world, so they certainly are not alone because they are depressed. Let them know that depression is considered a medical, and treatable, condition. It is by no means any sign of weakness, and it is definitely not considered a flaw. In fact, with the right treatment, they can start feeling better and more like themselves again, so seeking help is always worthwhile. Beyond recommending and encouraging that they seek treatment, you can also support your loved one by helping them find a licensed psychologist or counselor, or a mental health provider, so that they do not have to feel overwhelmed with everything that they need to do in order to take those first steps towards getting help. You can even help them to write up a list of questions that they can ask their doctor, you can take them to their appointment, or at least help them with setting the appointment, and you can be there to discuss the appointments once they’re done as well. Knowing the steps you can take to help someone with depression can be extremely helpful. You don’t want to just approach this situation without doing your research first, as you don’t want to do or say the wrong things that could make a bad situation even worse. Be cautious, gentle, patient, and persistent. With the right strategy and plenty of love and support, you can be the helping hand that someone desperately needs when they feel that they have nowhere to turn.